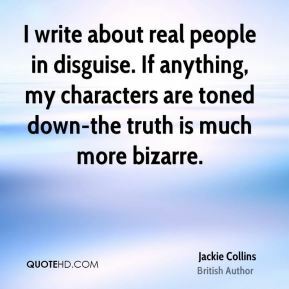 I write about real people in disguise. 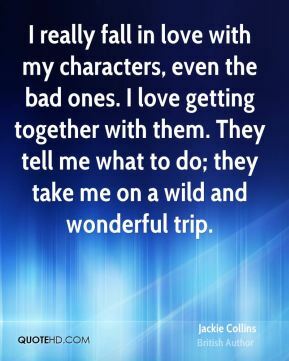 If anything, my characters are toned down-the truth is much more bizarre. 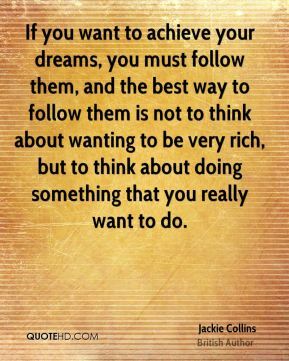 I write about the American dream: if you set your mind to do something, you can do it. My fans know they're getting the real thing. I write synopses after the book is completed. I can't write it beforehand, because I don't know what the book's about. 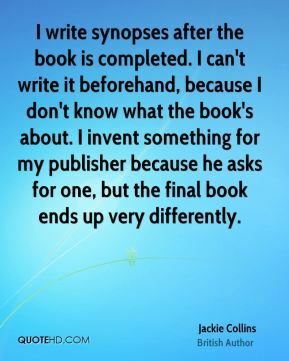 I invent something for my publisher because he asks for one, but the final book ends up very differently. 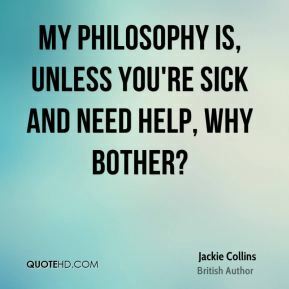 My philosophy is, unless you're sick and need help, why bother? 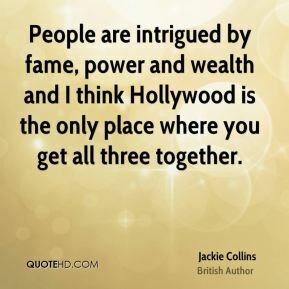 People are intrigued by fame, power and wealth and I think Hollywood is the only place where you get all three together. 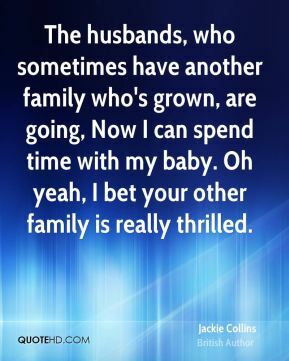 The husbands, who sometimes have another family who's grown, are going, Now I can spend time with my baby. Oh yeah, I bet your other family is really thrilled. 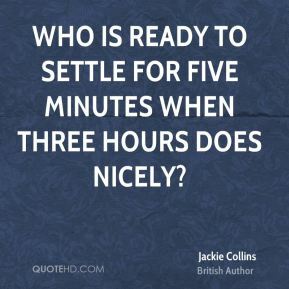 Who is ready to settle for five minutes when three hours does nicely? 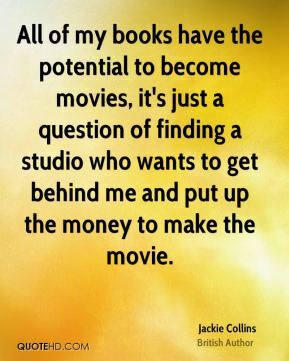 All of my books have the potential to become movies, it's just a question of finding a studio who wants to get behind me and put up the money to make the movie. 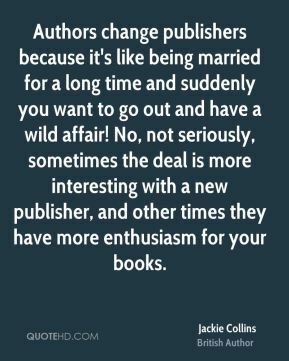 Authors change publishers because it's like being married for a long time and suddenly you want to go out and have a wild affair! 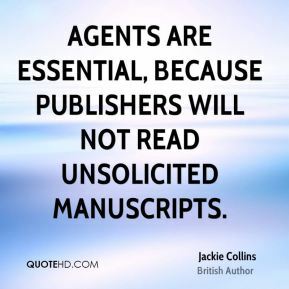 No, not seriously, sometimes the deal is more interesting with a new publisher, and other times they have more enthusiasm for your books. Brittany Murphy... who knows if she's going to be around. Kirsten Dunst, I think she's really boring. Reese Witherspoon? She can open a movie. Do not copy my style! 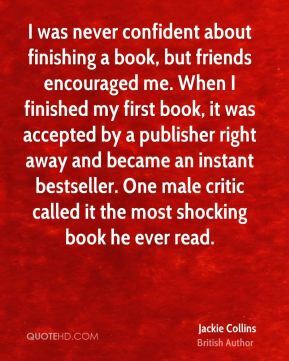 The first rule of writing is write about what you know, not what you think you know. 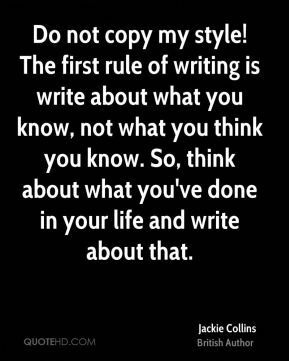 So, think about what you've done in your life and write about that. 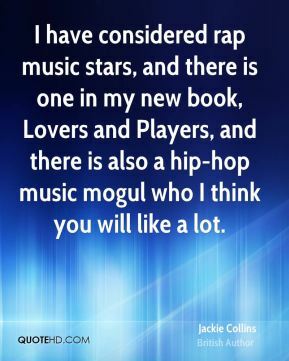 I have considered rap music stars, and there is one in my new book, Lovers and Players, and there is also a hip-hop music mogul who I think you will like a lot. 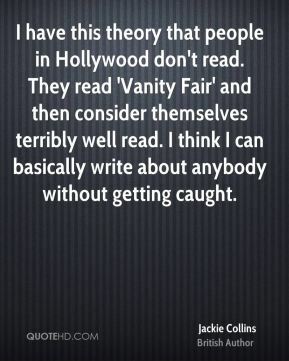 I have this theory that people in Hollywood don't read. They read 'Vanity Fair' and then consider themselves terribly well read. I think I can basically write about anybody without getting caught. 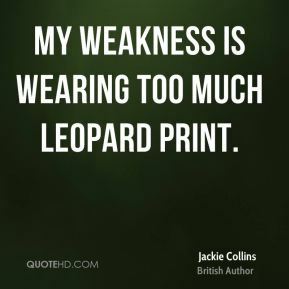 I have written 20 books, and each one is like having a baby. 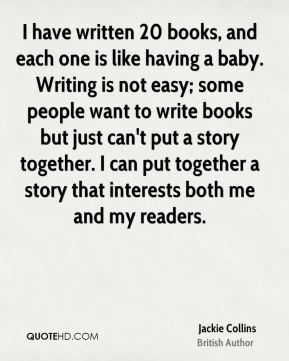 Writing is not easy; some people want to write books but just can't put a story together. 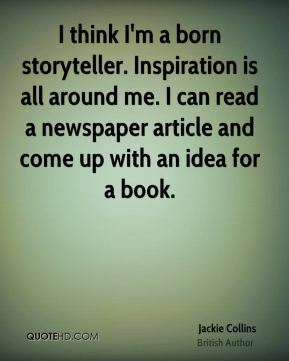 I can put together a story that interests both me and my readers. 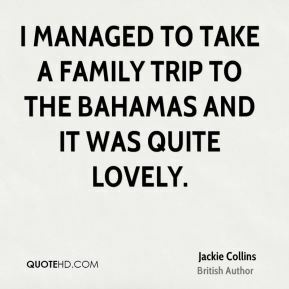 I managed to take a family trip to the Bahamas and it was quite lovely.